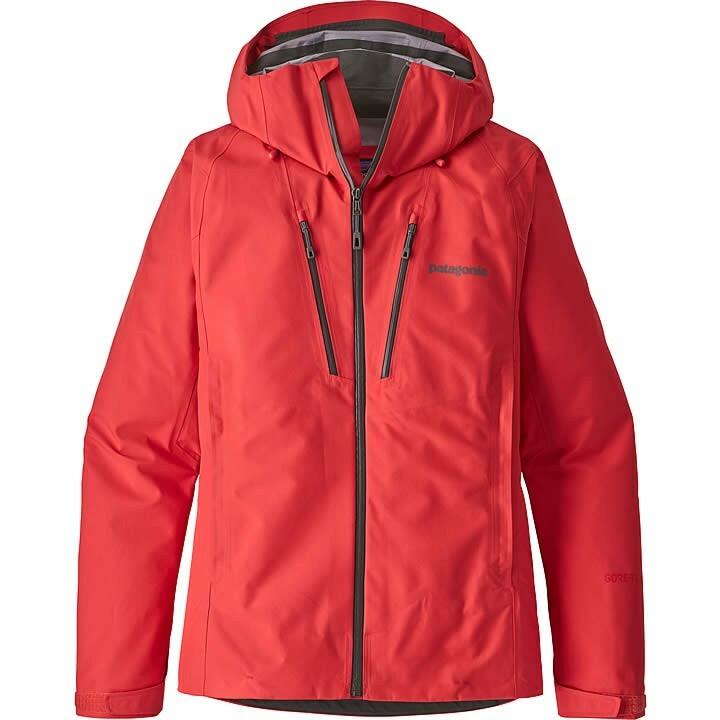 Patagonia's jack-of-all-things-alpine, the Triolet Jacket leverages waterproof/breathable 3-layer GORE-TEX® fabric with a recycled face in a feature-rich shell to deliver versatile, durable performance in heavy snow, driving wind and rain. Born from tradition and infused with modernity, Patagonia's Triolet Jacket maintains its mountain focus the way a hard shell should: through heavy snow, driving wind and pouring rain. The 3-layer GORE-TEX® fabric features a waterproof/breathable membrane bonded between a robust inner lining and a durable polyester outer shell that's now 100% recycled; a DWR (durable water repellent) finish further fends off wet weather. The helmet-compatible, 2-way-adjustable hood with a laminated visor blends protection with optimal visibility; traditional cord locks in the hood and hem allow for quick adjustment; an interior stretch mesh catch-all pocket stashes spare gloves; two Napoleon chest pockets and two handwarmer pockets stay clear of harness and pack lines. Other detailing includes low-bulk, watertight, coated zippers on the pit zips and external pockets; low-profile cuff closures; full-reach gusseted underarm panels for mobility; and an elasticized pant attachment strap at the inside lower back to eliminate gaps on powder days. Now with a concealed RECCO® reflector.